If mermaids existed, could they cope with climate change? Christopher Columbus once mistakenly reported a sighting of these mythical creatures when he sailed to the Americas. What he actual saw were manatees, describing them as “not half as beautiful as they are painted.” The legends of mermaids are apparent in the scientific name of the order to which manatees belong: the order Sirenia. Manatees are large, migratory species of fully aquatic, herbivorous mammals commonly found in shallow, slow-moving coastal waters where seagrass beds or other vegetation grow. Manatees are gray-brown in color, with thick, wrinkled skin. 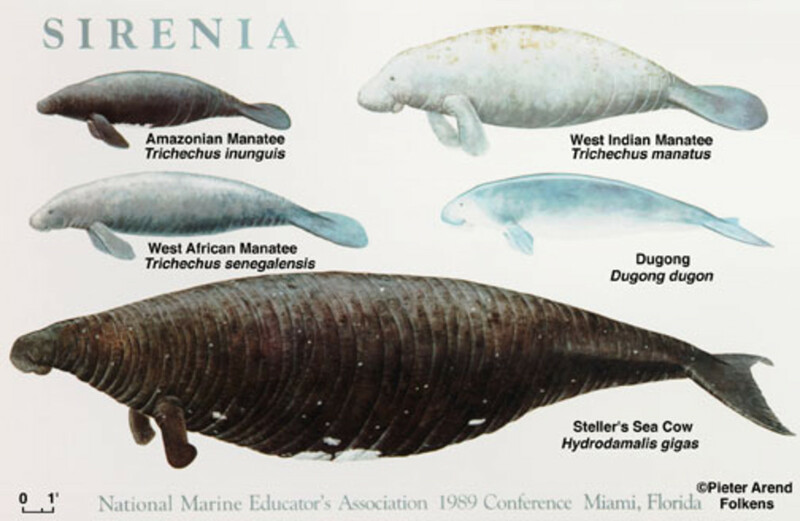 There are three species of manatee: The west-Indian manatee Trichechus manatus, the Amazonian manatee Trichechus inunguis, and the West African manatee Trichechus senegalensis. The West Indian Manatee is native to Florida. In 1997, population viability studies indicated Florida manatees would face extinction without protective efforts. 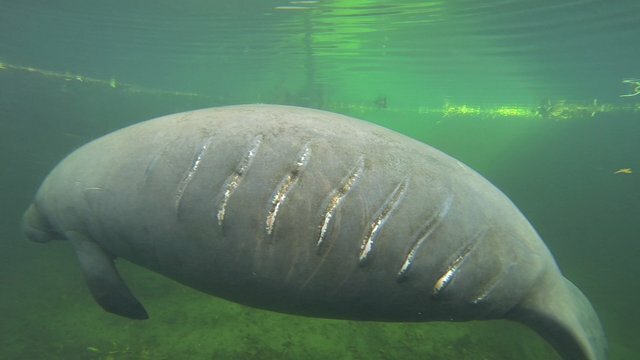 Over the last few decades, populations of the West Indian Manatee have rebounded, with a recent population estimate of 6,100 individuals, up from an estimate of as low as 1,706 individuals in February of 1997. Despite their increased population, manatees are still considered threatened and face several threats, in particular collisions with boats. Manatees are slow-moving, and often struck by watercraft. Additionally, climate change poses a threat to manatees. Algae blooms, which may worsen due to climate change, were linked to the death of 166 manatees by killing seagrass on which manatees feed in July of 2012.